The demand for quality pups in Hawaii far exceeds the availability. You may have to be patient to get a puppy. Your other option would be to import from Australia or NZ. While the cost of the pup can be comparable, the shipping is high as you would have to go through a shipping service. If you are not picky about quality, then I suggest you check with vet offices and newspapers. There have been some scams reported through Craigslist so care needs to be taken. Some of the puppy mills have websites but I urge you to avoid them. They breed commercially for profit with little regard to maintaining quality or concern for the breed. Quarantine laws have recently been amended so you are able to bring a young puppy in from the mainland. That would be another option. There will still be strict stipulations that you must adhere to. 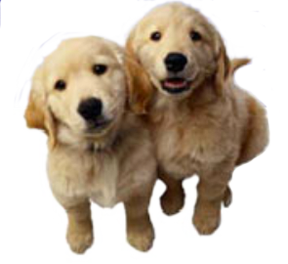 If you go to GRCA.org (Golden Retriever Club of America) there is invaluable information on how to find a reputable breeder and how to spot one that is not. Keep in mind that Golden Retrievers have hereditary issues that need to be addressed prior to breeding. All breeding stock should be cleared for the common issues, by proper specialists, as recommended by GRCA. Club members are usually serious hobby breeders bound by a code of ethics. Currently there are only a handful of GRCH breeders. If you are shopping for a quality puppy, you will be interviewed to make sure you are a suitable home. Do not be taken aback by all the questions you are asked. Breeders with integrity will want to know their puppies are going to the best possible, forever homes. Hopefully, this has been of some help in your search for a Golden puppy. If you need any other questions answered, please contact us.